UK citizens are set to make payments totalling £53bn a year through mobile devices by 2024, compared with the £9.7bn currently spent, but retailers are failing to meet customer expectations, according to research. The Barclays-sponsored research of 1,500 consumers and 221 retailers, carried out by Conlumino, also revealed the influence mobile is having on shopping beyond transacting purchases. The research found that through initiatives such as location-specific in-store marketing, augmented reality and convenient click and collect services, the influence of mobile on spending could account for £18.4bn today, increasing to £112bn by 2024. The research predicted that 42% of retail sales will involve a mobile device in some way or another by 2024. But retailers are not addressing the demands of in-store shoppers. Some 57% of consumers want free Wi-Fi in all shops, yet only 14% of retailers offer it now, with a further 7% planning to do so in the future. 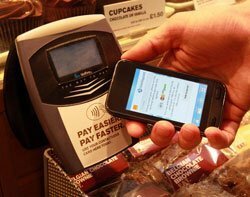 Richard Lowe, head of retail and wholesale at Barclays, said although retail was seen as a threat to bricks and mortar stores, “retailers are starting to discover that mobile technology doesn’t just enable them to compete in the same space as pure-play competitors, but also provides an opportunity to increase sales through stores”. “Getting consumers into stores is challenging enough, but once they are there it is important that retailers can offer the technology-driven services that consumers now demand. Wi-Fi is a basic commodity, but its very presence and the services retailers can deliver through it have an important part to play in high-street sales,” he added. Shops and service providers will support the Zapp mobile wallet, which can potentially support over 35 million users to pay for goods through integration with banking applications. More than half of UK consumers believe their overall online purchasing experience would improve if retailers delivered a consistent service across all platforms. Retailers acknowledge they are not ready for the mobile retail revolution. The research found that less than 3% of retailers believe their business is at the cutting edge when it comes to being mobile ready, and a further 70% said they did not currently offer a mobile website or mobile app for consumers. Respondents said this is because retailers are under-investing, as they believe mobile just shifts sales around rather than creating new ones. Recent research revealed an example of retailers falling short of mobile readiness. In the US, a poll of 3,000 credit card holders by Phoenix Marketing International found that although Apple Pay has been adopted by 66% of iPhone 6 users in the US since its launch in October 2014, two-thirds of users report problems at checkout. As a consequence, merchants in the US are missing out on potential sales because they are not set up to take Apple Pay payments. “The early-on transaction potential is being undercut by low repeat usage and lost payment opportunities,” said Greg Weed, director of card research at Phoenix Marketing. Weed said merchants were often not ready to accept the payments, and almost half of users who visited stores listed as accepting Apple Pay discovered they did not.